Is Your Tax Preparer Awesome or Awful? Let others know what you think about your tax preparer – whether good or bad. Your review will be helpful for others looking to choose the right tax preparer. 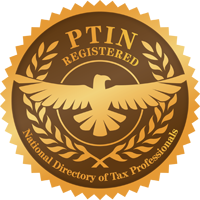 Choosing a tax professional for a business or just preparation of a simple individual tax return is a huge decision, especially because tax preparers are provided with access to so much personal information of their clients: social security numbers, dates of birth, employment and financial records.